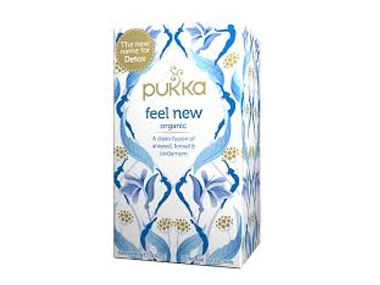 Buy Pukka Feel New Tea - 20 bags in the UK from our online shop or directly from our independent Scottish store. Aniseed and lush cardamom bring your cup alive to shrug off the old and embrace the new. Where can you buy real Feel New Tea safely online? If you are wondering where you can buy Pukka Feel New Tea - 20 bags safely online in the UK, then shop with us.